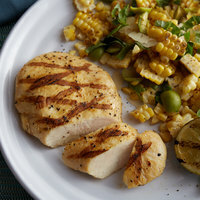 Chicken is a heart-healthy white meat your health-conscious patrons will love. Lean and packed with protein, our selection of chicken products become flavorful and juicy when cooked on the charbroiler, flat top grill, or baked in the oven. 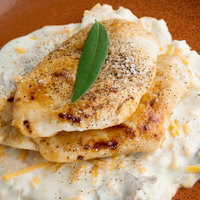 Serve them up in classic, delicious dishes including chicken cheesesteaks or chicken hot dogs on a bun. Also make sure to check out other great items from Hometown Pride, AdvancePierre Foods, Amick Farms, Brakebush, Country Pride, Crispy Fliers and Devault Foods. 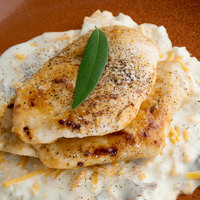 Bulk chicken is a convenient product to store in your commercial kitchen’s freezer. Maintaining a bulk supply ensures you’ll have plenty of chicken for the lunch or dinner rush as guests enjoy their favorite menu offerings. For your convenience, we offer pre-portioned packs of bulk frozen chicken designed to take the guesswork out of portion control. Explore other essential food items including cooking oil, hot sauce, and deli foods. If you're wondering where to buy ok foods chicken, we have a large selection of ok foods chicken for sale at the lowest prices.